Cave art was discovered at the end of the 19th and beginning of the 20th century. It is spectacular, beautiful and mysterious and can be found all over the world from Spain to Sulawesi in Indonesia, all with similar themes, quality and dating. Cave art was discovered at exactly the same time as modern art was born – Palaeolithic and modern artists had their debuts and caused commotions at the same art fairs and world exhibitions. 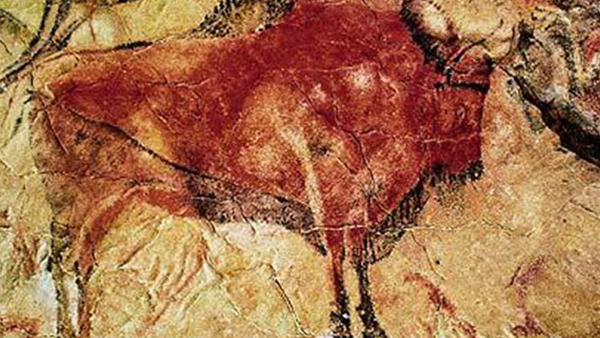 Picasso said we have learnt nothing since Lascaux, and all is decadence after seeing Altamira. The beauty is such that at least three caves are said to be the Sistine chapel of cave art. Here in Spain we are in the middle of it. Spain is the second richest in Europe for World Heritage sites and has the oldest findings in Western Europe with more than 1000 protected caves. A fascinating story that fires the imagination! Drs Helen Sijsling MA (born in Australia, lived in the Netherlands, lives in Spain), MA History of Art (University of Leyden), MA English Literature (Universities of Leyden and Oxford) and MA Educational Management (University of Amsterdam). Helen taught English for the first part of her career to later become management consultant on education, advising secondary schools on educational improvement and training teachers and managers in The Netherlands and the Antilles. Helen is presently Chairman of The Arts Society in Nerja and has lectured to The Arts Societies in Spain and other societies including the Nerja History Group and Capistrano on many different subjects. Being Dutch and living in Spain, she specializes in Spanish / Moorish art and Dutch art.